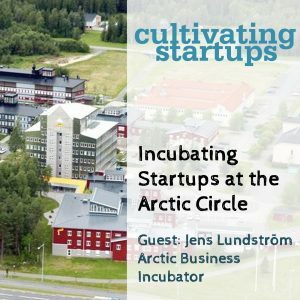 Arctic Business Incubator isn’t an exaggeration—they’re incubating new technology businesses at the Arctic Circle in Sweden, and have been for the last 12 years. It’s affiliated with the Luleå University of Technology and runs accelerator and incubator programs in four locations, with startups covering a broad range of sectors from gaming to space to cleantech and many more. We talk to managing director Jens Lundström on this week’s podcast. And I take a look at a new report out of British Columbia that that makes the case for why B.C. will be Canada’s “global digital technology supercluster.” There’s no denying that Vancouver is a digital tech hotbed … as is Toronto-Waterloo, Montreal, Ottawa (or is that Montreal-Ottawa?). How many digital tech superclusters should Canada have?